Arkwin’s experience with lock actuators dates from 1964. Since this time, we have built lock actuators using roller, toggle and slider locks. Mechanical detents have used for very low locking loads too. Arkwin offers single and dual position mechanical locks. In addition to this production hardware experience, we have conducted design studies and tests of other types of locks. Finally, Arkwin also manufactures actuators which maintain position using hydraulic locking. This allows load resistance in any stroke position. With this wide background to draw upon, Arkwin has the ability to select that type of locking mechanism best suited to each application. In general, lock actuators operate by interposing a radially displaced locking member between the moving piston and the stationary housing. In all locking actuators, the locking surface cone angle is steep enough to assure unlock under friction coefficients greater than those anticipated in service. The radial component of the axial locked load is a function of this angle and the coefficient of friction. With friction variations, there is a large variation in the radial force component in service. Radial motion of the locking surface is controlled by an axial plunger. The pressure at which this plunger will operate is thus dependent upon the sliding friction in the lock. Arkwin has developed a number of techniques to mitigate friction and the effect on unlocking pressures. Critical to the design of the lock actuators is the need for lock integrity, the smoothness and the repeatability of unlocking. To assure long and trouble-free life of lock actuators, a great deal of attention has been paid to the reduction of friction and the effects of sliding contacts in lock actuators. Features normally incorporated in lock actuators include lock indication switches, visual indicators, manual releases, emergency system operation, and lock out devices. Locking actuators can be provided with internal rate controls including flow regulators, relief valves, and restrictors. Integral control valves are offered too. The long life and repeatability of the Arkwin lock mechanism has been demonstrated through field history and laboratory testing. F-16 lock actuators mechanisms have been subjected to Highly Accelerated Life Testing for determining suitability in other applications. This included unlocking with loads in excess of rated design valves. No appreciable change in performance or wear was noted at the end of 130,000 cycles. Production designs have unlock loads up to 20,000 pounds and ultimate loads over 50,000 pounds. These designs maintain very low unlock differential pressure values without the use of sequencing even under high load conditions. Usage spans from the C-5 to the CH-53K and many aircraft in between including 777, F-16, B-2, F-35 and more. We are the technical expert in all things hydraulic for aerospace and defense. Our expertise allows us to satisfy design and performance specifications that others simply cannot. 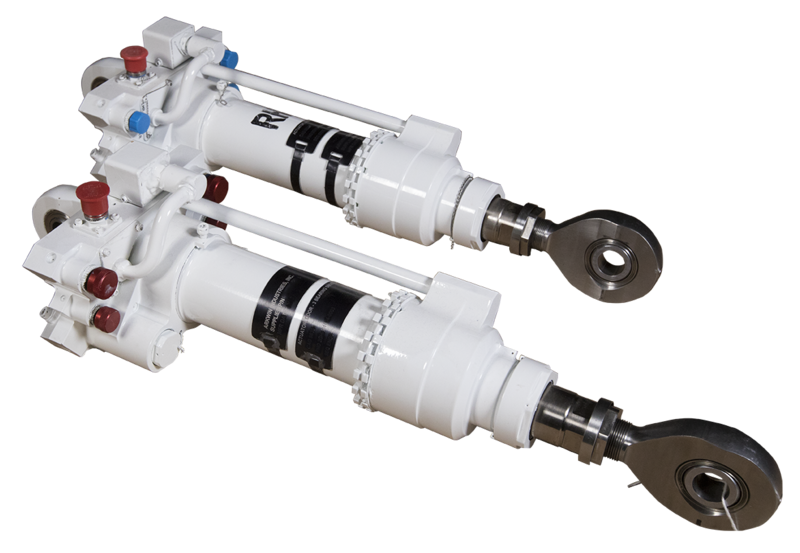 We design, test, manufacture, and support precision hydraulic and fuel system components for civil and military fixed-wing aircraft, helicopters, spacecraft, and turbine engines. Our pedigree goes back nearly 70 years. We have been on board most major civil and military airframes since the 1950s. Our Rapid Custom Product Development (RCPD) team works hand in hand with our customers as an extension of their design team. Through our nimble process-oriented culture, broad in-house capabilities, and operational discipline, we target 100% on-time delivery each and every day. Fuel Driven Actuators provide actuation force to direct engine control components and provide electrical feedback of vane position to the engine computer. Our stable of proven high reliability, low maintenance, and fire-resistant designs are capable of >250,000 cycles and operating pressures up to 2,250 psig. We offer multiple mounting options, linear position sensing transducers, 3”+ diameter bores, and 3.5”+ strokes with servo valve applications in master/slave configurations. The Ram Air Turbine (RAT) actuators deploy the RAT in the rare case when an aircraft loses power. The RAT then works to supply power necessary to control and land the aircraft. Arkwin’s proven designs are capable of >250,000 cycles with the application of high external loads. Our RAT Actuators operate at pressures up to 5,000 psig and feature multiple integrated control features for filtration, flow, and directional control. We offer multiple mounting options, linear position sensing transducers, 3”+ diameter bores and 25”+ strokes. Arkwin advanced locking mechanisms can be constructed from using feature multiple pawl configurations depeding the application requirements. Locks can be integrated with visual and electrical lock indication or position sensing. Arkwin designs unlock with loads up to 20,000 pounds and hold over 33,000 pounds in operation. Thrust reverser systems help to enable shorter landing distances and reduce wear on the braking system by slowing down the aircraft after touch-down. 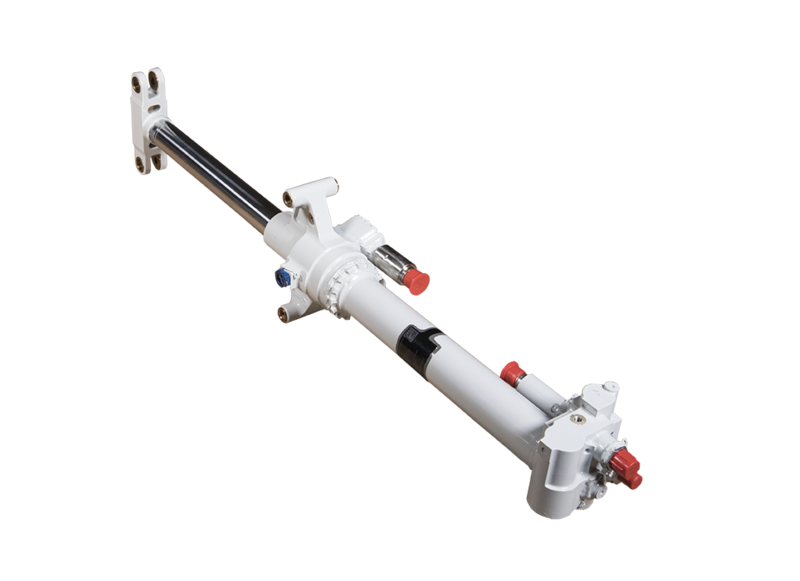 The actuator extends to deploy the system and retracts to stow it. Arkwin’s proven designs are capable of >250,000 cycles with the application of high external loads. Our thrust reverser system actuators operate at pressures up to 5,000 psig and feature multiple integrated control features for filtration, flow, and directional control. We offer multiple mounting options, linear position sensing transducers, 3”+ diameter bores, and 25”+ strokes. Arkwin advanced locking mechanisms can be constructed from using feature multiple pawl configurations depeding the application requirements. Locks can be integrated with visual and electrical lock indication or position sensing. Arkwin designs unlock with loads up to 20,000 pounds and hold over 33,000 pounds in operation.